Pope Francis on Saturday met with eight Irish abuse victims after expressing “pain and shame” over the “failure” of Catholic Church authorities to deal with the abuses, the Vatican said. 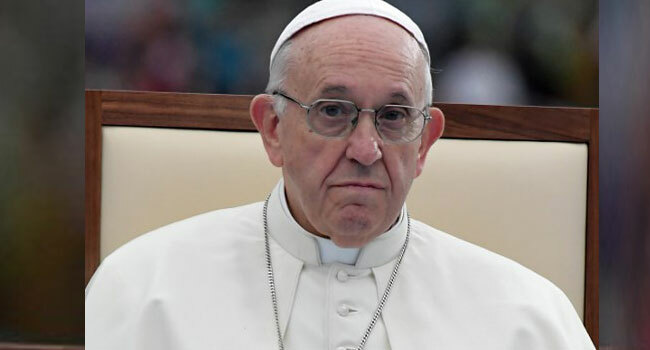 “Pope Francis met early on Saturday evening for an hour and a half with eight survivors of clerical, religious and institutional abuse,” Vatican spokesman Greg Burke said in a statement. The eight included a victim of Catholic priest Tony Walsh, who abused hundreds of children over a period of nearly two decades before he was finally cast out of the priesthood and imprisoned. Burke said the victim “preferred to remain anonymous”. Marie Collins, who was abused by a priest when she was being treated in hospital at the age of 13, was also among the eight. Collins last year resigned from a Vatican commission on child protection set up by the pope over its failure to take action. Others present at the meeting with the pontiff included Fr Patrick McCafferty, who suffered abuse while training for the priesthood in the 1980s, and Dublin city councillor Damian O’Farrell, who was abused aged 12, Irish media reported. Another of the eight who met the Argentinian pontiff was Paul Jude Redmond, whose mother was one of thousands of “fallen” Irish women who were locked up in Catholic-run institutions for being pregnant and unmarried. When he was born, Redmond was given away for adoption — his birth certificate faked and his adoptive parents named as his real parents, according to an account in the Sunday Times.